Wish2Know was founded for the sole purpose of simplifying the unecessarily complex subject of insurance. Many people find insurance both difficult to understand and boring. To those people we propose a toast. You are absolutely correct, insurance is too difficult understand and it certainly is boring. Unfortunately, it’s necessary and many people will spend more than $500,000 just on home and auto insurance in their lifetime and much more on health and life insurance. The nature of being boring and difficult to understand leads to the unfortunate situation that many — probably most — people don’t have the right insurance coverage. That’s the problem we aim to solve at Wish2Know. Our approach to solving the problem is to make things simple. Wish2Know does not sell insurance. That means we have no ulterior motive to get you to buy something you don’t need. Our motivation is to make sure you are protected. 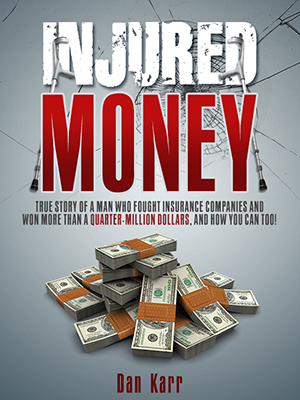 True Story of a Man Who Fought Insurance Companies and Won More Than a Quarter-Million Dollars, and How You Can Too! © 2019 Wish2Know. All Rights Reserved.